There are many reasons we have writers involved with the paranormal. Some find the subjects considered unknown interesting because we have no set answers to so many questions. Many people are very curious about what is reported by those who have seen or experienced the unknown. Others write about or become involved in the subjects of the paranormal as it is a open field with few boundaries allowing both fact and fiction to be presented without questions or controls. A few write from experience . It is not uncommon for someone who has had a extreme experience to feel compelled to write or talk about it. Having a life changing event occur in your life can leave people feeling confused and alone. Seeking others who have also had similar experiences can make those who have looked in to the eyes of the unknown feel once again connected to their own humanity. It is a difficult road to be alone with something as powerful as having dealt with the unknown . How does one cope with knowing they have lived through and experienced something others have not. Far worse is the difficulty of knowing if you do talk about it you will be laughed at or snubbed from those you depend on in life. Most who encounter these events keep silent and deal alone with the pain, fear and knowledge that they have faced a strange experience and will have to handle it alone . That is a horrible feeling. I know it close up and understand it fully. I write about the unknown as I am one of those who had it thrust in to my life without warning or desire . I am one of those people others write about and talk about who have never seen a UFO or alien yet become the ones who are listened to as the experts. That did not sit well with me for many years. I would read the books, watch the movies, listen to the radio shows and feel frustrated and even more alone. Those telling me what they thought with strong conviction were not even close to the things I knew or experienced. The information was close to what I knew to be real but always off in certain areas or embellished to the point the reality was lost as I knew it. I had a life , a family and obligations . Those things came first for me. Holding on to and building a strong base was paramount to me. Like many others like me holding on to that base of a normal life is what kept me going, alive and able to handle the other part of my life I did not want yet could not control or stop. My frustration with the rest of the worlds views and the information and way it was presented about the things I was actually dealing with as part of life became over powering as I aged. Once my real life obligations were easier, my family grown, my work finished and a slower pace at hand I knew it was time. Upon retiring from a successful long career I decided it was now or never the time to try to have my say about the things I knew firsthand concerning the strange and unknown events of my life. I began to write . Before I knew it others were seeking me out and asking me to help them with the events that they too had endured in their lives. I wrote about them too. I try hard to only write about that which I feel is true as well as protect those who come to me with the events they have experienced. 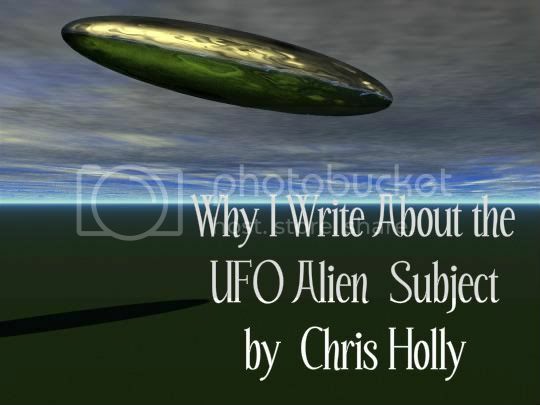 Over the years I have written about many subjects considered paranormal however my real interest remains with that of UFO's , aliens and abduction. I have had strange events evade my life since I have been a small child. One event took place in 1965 when I was 14 years old while living on the south shore of Long Island, New York. This event was one that was a life changing experience that has stayed with me my entire life. There was no confusion as with lost time events or mistake at what we saw and endured . This was the one night that will live with me daily right to my grave. I cannot forget it , understand it or forgive it. At the time the small town I lived in was surrounded with lots of open wooded land , a large state park and of course the Great Sound Bay which met the shore . The town was a lovely community with a Main Street full of stores, a library, churches and a Jr. High School. It was a nice place to grow up and I was a happy average teenage kid. Behind the Jr. High School that was located on Main Street a large football field backed up to open woods. on one side and farm land on the other. The Main Street of this town where the school was located was only about one mile from the coast which faced the Great South Bay which headed directly out to the Atlantic Ocean. The date was Oct 30th which was the Saturday before Halloween. There were lots of parties going on in town as well as tons of teens out running wild with eggs and shaving cream. Since Halloween fell on Sunday that year everyone planned to celebrate Saturday night instead as Sunday everyone had to be home early for school Monday morning. I had typical 14 year old plans to meet up with my friends behind the Jr. High School so we could throw things at boys and maybe find our way to a party in the neighborhood . I was to meet up with two other girls my age as well as a group of other school friends at 6: 30 PM behind the school in the football field. It was often the place the kids in town used to group up or hang out in town. I met my two girl pals on time behind the school. We were waiting for the rest of our school friends to gather before we took off after the other kids wandering around the town that night. Egg fights and shaving creaming the boys in town was our mission for the night. It was a cool clear crisp fall night. My two friends and I stood waiting behind the dark school in the foot ball field. We noticed small groups of older kids gathering down the end of the field. We did not recognize them and we were younger so we stayed a distance away at the other end of the field waiting for our friends . While standing there giggling and laughing we heard a male voice from down the field where the other kids were hanging around yell out " What the hell is that!" We heard the group start to shout and turned in their direction to see what was going on. Down at the opposite side of the football field a large brightly lit craft was slowly descending down over the field. The craft was a large oval . It was silver in color with many small bright neon colored lights around the mid section of the craft. It had a bank of windows along the length of the craft that you could see a white lit interior behind the windows. The cigar shaped oval had a low dome on top of it. Inside there was a moving mechanical thing that looked similar to a gyroscope . It would spin as the craft moved. This strange looking craft flew low over the field until it slowed to a complete stop and simply hovered in the night sky about 3 or so telephone pole lengths over our heads. The craft hung there as we all looked up at this thing. I was awe struck and terrified. I remember trying not to wet my pants as the fear over took every inch of my body. I have never been as frightened as I was that night looking at this odd craft hanging over me in the sky. My friends started to cry. One dropped to her knees and started to pray. I could not move at all and just stood there. I thought maybe they did not see me and if I did not move they would not notice us . As I looked up at this thing a human form, head arms type of body came over to the window and looked down at us. It held out his hand as if to wave or greet us. All I could make out was the shape , I could not see any details. It did look somewhat like a mummy. As if it was all wrapped up like a mummy is . I could hear a clicking. Just a clicking sound. I thought my heart was going to explode the fear was so over whelming. This is where my memory ends of what happened on the football field. The next thing I knew my two friends and I were running as if from a funnel shape shadow behind us out of the back of the Jr. High School towards the Main Street of my town. I looked around as I ran and notice other people running too. I did not recognize them and we all ran out of this funnel shadow in different directions. My friends and I were confused, dazed and frightened. My one friend ran directly to the Church a few blocks away on Main Street. My other friend ran away yelling - "I am going home." Standing alone and disoriented I also started to run at full speed the 8 blocks to my house. I do not think I ever ran as fast before or since that night. I burst into my house as if I were on fire. My mother was sitting waiting for me watching TV in the living room. I flew thru our front door and ran in to the living room. My mother stood up and started to tell me she was very angry as I was supposed to be by 9:00 PM. I looked at my mother and asked her what she was talking about? I could not have been gone more than a hour. I figured it was about 7:30 at night. My mother looked at me and simply said. "It is 10:30 at night. Where have you been all these hours?" I was stunned and started to cry as well as feel very ill. I started to turn all red on my face and arms and legs. I began throwing up with such force I thought I would crash through the wall behind me I would heave in such violent agony. My mother woke up my father who had gone to bed to help take care of me. My parents were very concerned and were questioning me about where I had been. I told my parents what had happened in the football field. To my amazement my father simply said " I believe you" He told my mother to call the parents of the other girls to make sure they made it home. Both my parents talked for a long time to the parents of my friends. As the night wore on I remained ill. I had a fever and my eyes really hurt. The lights on in my room were causing me pain so my parents sat with me in the dark as I weathered the results of what had happened to me that night. The next day was Sunday and Halloween. I stayed in bed and slept the entire day. The next day I was taken to the town doctor. He was extremely mean and very nasty about the entire thing and did not believe a word of what I told him had happened . When my parents questioned him as to what could have caused the red sore rash on my body and other ailments I was suffering he became rude and threw a antibiotic at my mother and sent us on our way. My father called the police the day after the event who told him that there were many calls about people seeing things the night before however it was Halloween time and he was sure it was some kind of joke. He did tell my father that a small plane called in a strange report and my father could call the Air Force, but the policeman did think it was a waste of time. At the time there was an active Air Force Base on the end of Long Island also near the south shore and Atlantic Ocean. My father had to return to work leaving it up to my mother to call the Air Force Base. My mother was told by the Base they would suggest she did not discuss this with anyone and told her they would send someone for a statement. In the meantime my one friends parents called to tell my parents that they would not be continuing the ridiculous story we were telling and to leave them out of it. My other friends mother also had called the Air Force Base. Still ill and in shock I stayed home from school. About mid week an Air Force officer came knocking at our door . He questioned me over and over about what took place and what I had seen. He was cold and direct. I did my best to describe what I had seen. He had me draw it as well. He looked at my eyes, rashes and took my temperature with a thermometer he had in his pocket. He stood behind me and looked at the rash on the back of my arm and neck . I think he scrapped my skin or rubbed it hard with something as it stung a little bit after he let go of it. When he was done talking to me he asked to speak to my mother alone. He told my mother we would be best to not bring this up or pursue it any further. He told her it was most likely my imagination. He told my mom it would the best thing for our safety would be to not speak of this again or reporting it to anyone. It would be best for us all to just forget it. My mother felt it was a threat. My mother called my friends parents who also called the base. My friends parents told my parents not to call them again and to do as they were told and forget it. My parents believed me and knew that we had been taken. They also knew that I had been used in some way and harmed. They just did not know what to do about it. I was kept home for about a week before I returned to school. My friends did not want to discuss it. It placed a strain between us and soon we found other friends and sort of avoided each other. I did not go out alone at night again for many years. I was always with friends or family. I suffered from that point on with rashes that would come and go as well as fevers for no reason at all. I had to wear dark glasses when I was out in the sun as my eyes now hurt when I am out in the sunlight. My life continued on. The difference was that I lived a normal life filled with normal activates however also endured many other strange events and lost time experiences along the way. This is the first time I have ever written about this experience in my life. It was an incredible event that changed my life forever. My writing about this subject is in no way by chance. I am compelled to do so. I find it very difficult to say what I have to say on this subject matter as my experiences have been different than most of what you find in this area written by others. With that said I still feel alone and frustrated when dealing with the events of my life . I have found and formed a group of people who have had similar things happen to them . I often write about the real time abductee group I have been blessed to be part of the group. I will continue to write until what I need to say is exhausted. I will know when that day arrives and will follow that road in life too. Be careful out there. You never know when you will the next to meet your football field only to return hours later from a trip with the unknown.